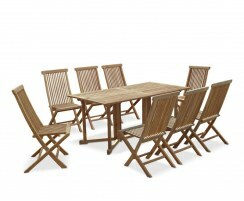 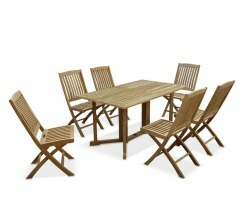 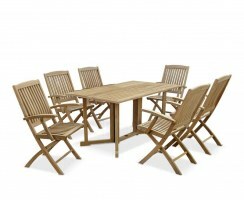 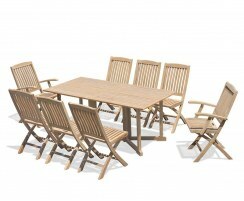 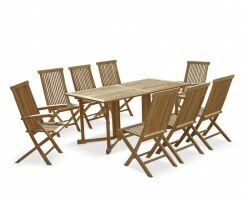 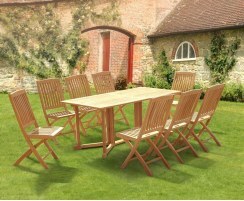 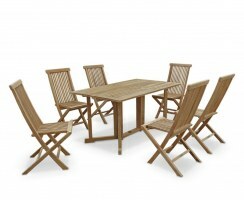 Browse our clever and practical range of Shelley teak dining sets. 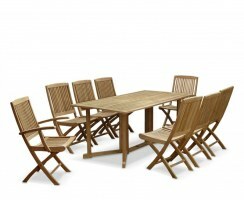 With gateleg tables that fold away for easy storage, and with a range of different sizes and styles to choose from, choosing the perfect teak dining set has never been simpler. 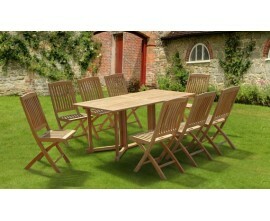 Manufactured from sustainable, hardwearing grade-A teak, these dining sets will surely stand the test of time. 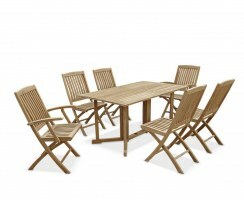 These dining sets can be left outdoors all year round and only require minimal maintenance. 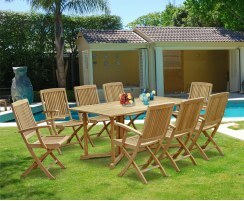 You can even leave them untreated so they turn that beautiful silvery-grey colour with time. 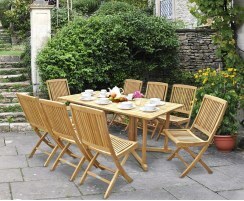 Weatherproof and rot-resistant, these dining sets represent fantastic value for money, and, many years from now, will look as fantastic as the day you bought them. 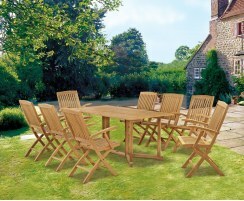 Browse the range today.